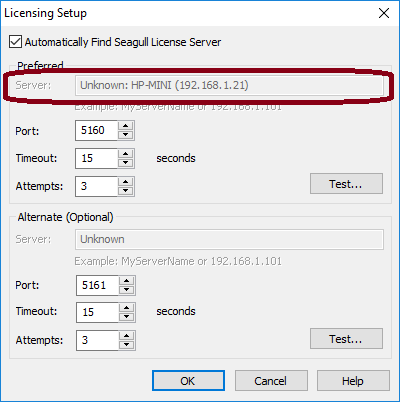 This Instruction Article explains how to check a client workstation to verify it is connecting to a Seagull License server. Verify the name of the network server hosting the Seagull License server in the field labeled Server:. 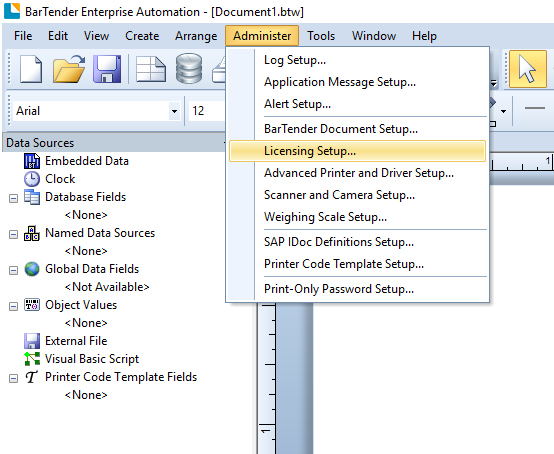 BarTender will then display a message indicating if the connection was successful or a failure.